Michael Tymn is the author of The Afterlife Revealed: What Happens After We Die , published by White Crow Books. His book, Resurrecting Leonora Piper: How Science Discovered the Afterlife is now available on Amazon and other online book stores. His latest book, Dead Men Talking: Afterlife Communication from World War I , is published by White Crow Books. It is a wonderful read! Suicide is one subject on which spirit messages coming through various mediums all seem to agree. While there are some conflicting messages relative to suicide by terminally-ill people, the messages overwhelmingly condemn conventional suicide. They strongly suggest that the individual who hopes to escape from his or her problems here in the material world does not do so. That does not mean that the person finds himself in “hell,” as some religions teach, or even experiences a “fire of the mind.” Much seems to depend on the motivation, the degree of despair, and the overall mental state of the individual at the time he or she attempted the escape from this world. The important point is that nothing is gained by the suicide and it may even set the person behind in his or her spiritual evolution. “I know now the whole mistake lies in looking upon death as the end of ‘activity,’ with a renewal at some indefinite date, whereas as a matter of fact it is an incident only, though a very important one, in a continuous life. Your feelings, your memory, your love, your interests and ambitions remain; all you have left behind, and even that which one cannot at first realize, is the physical body, which proves to be merely the covering of the spiritual to enable it to function in a material world. Man truly is a spirit and has a body, not vice versa. “I have told you that I, in common with hundreds of other men here, go down to the battlefields to help to bring away the souls of those who are passing out of their bodies. We are united for the work, having ourselves endured the horrors of war. Spirits unused to it cannot bear the terrible sights and sounds. We bring them away so that they may return to consciousness far from their mutilated physical bodies, and oh, Mum, I feel quite tired sometimes of explaining to men that they are ‘dead’! They wake up feeling so much the same; some go about for days, and even months, believing they are dreaming. “Death works no miracle, and you wake up here the same personality exactly that left the earth-plane. Your individuality is intact, and your ‘spirit body’ a replica of the one you have left, down to small details – even deformities remain, though, I am told they lessen and disappear in time. 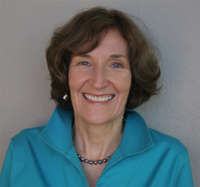 Jane later determined that when she was attending a conference of the International Association for Near-Death Studies in North Carolina some years earlier, she had asked White Crow Books to send her a supply of a book she had co-authored with Russell Targ,The Heart of the Mind, to be sold at the conference. To avoid shipping the books from her home in Oregon to the conference in North Carolina, she asked that White Crow mail them to her in care of her friend in Durham. The Durham address went into the White Crow computer as Jane’s and that is how Dead Men Talking found its way to the friend’s house. Coincidence? Possibly. Spirit-directed synchronicity? You be the judge.